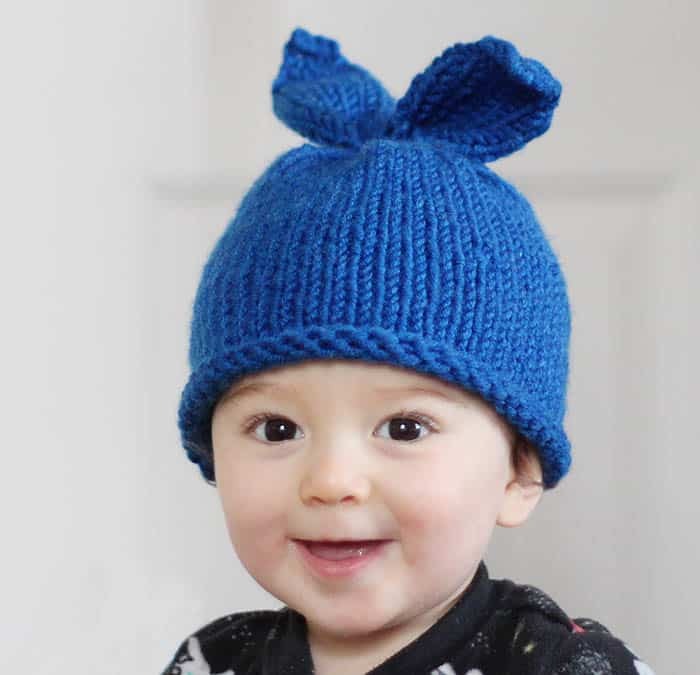 In case you didn’t already know, I’m pretty obsessed with knitting hats for my little guy! 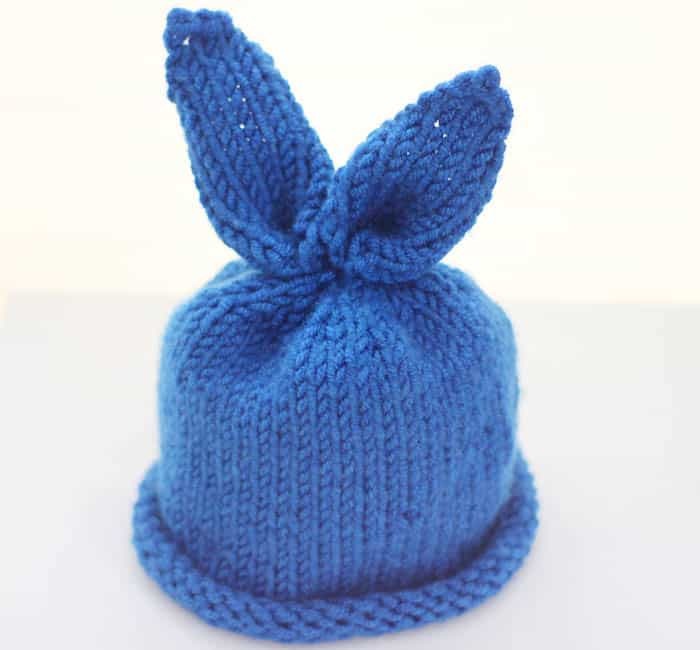 With Easter approaching, I figured a bunny rabbit hat would be perfect. 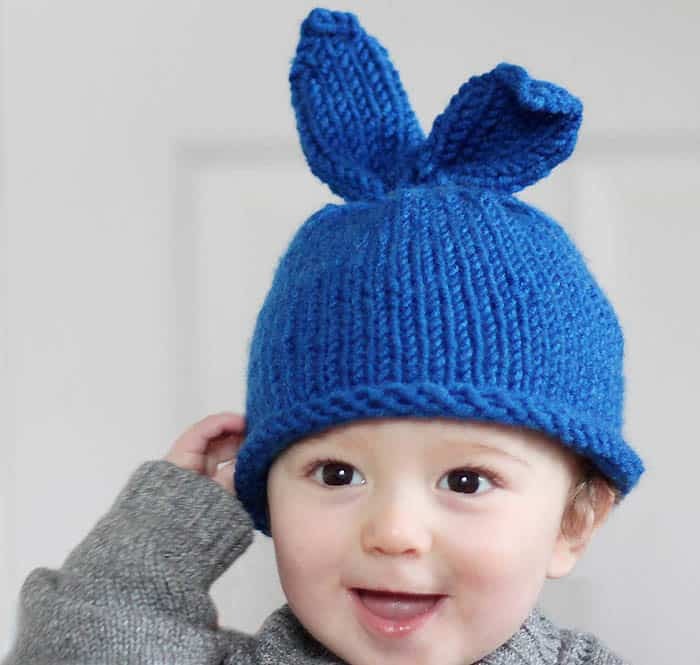 This Baby Bunny Hat Knitting Pattern is really easy to knit- it’s a garter stitch with a rolled brim and the ears are knitted separately and then sewn on. 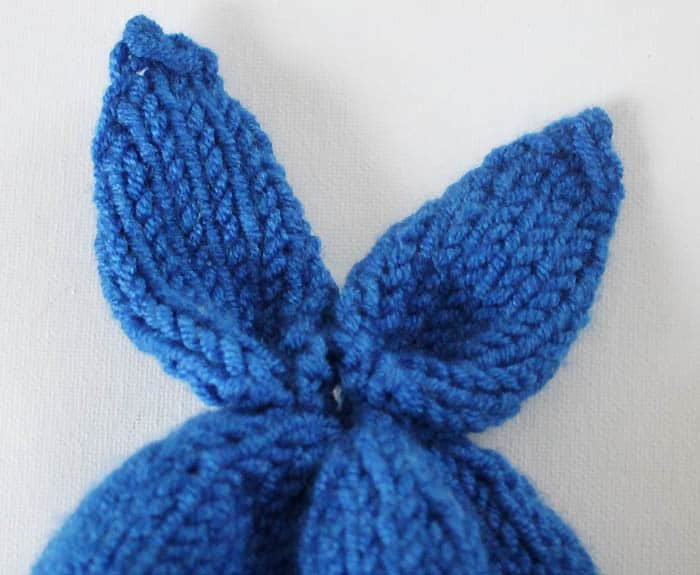 Knit in Garter stitch until piece measures 5 1/2 (6, 6 1/2″) inches from the beginning. This is what the 2 ears look like. Weave in the ends of the yarn at the top. 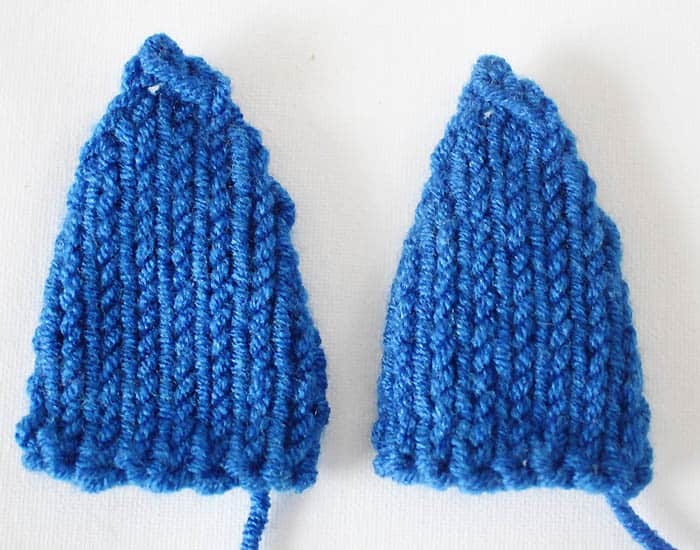 Pinch the ear together at the bottom to create a 3-D shape. Sew a stitch through the bottom to hold the shape in place. 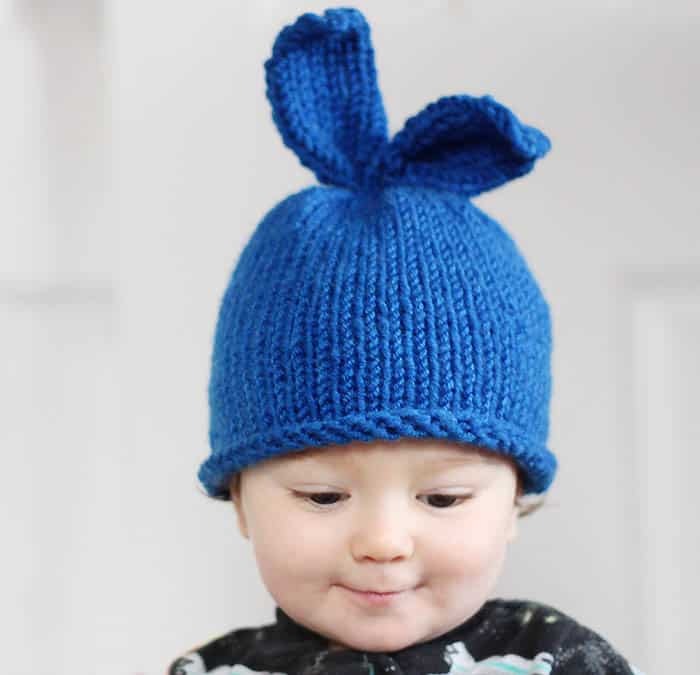 So cute and perfect for an upcoming baby shower. Thank you for the clear tutorial and pattern!